With a goal of reinvigorating Clanbrassil Street and St Nicholas’ Quarter, a scheme was developed by the Project Team to establish a new identity for this key gateway into Dundalk Town Centre, the second largest town in the country. 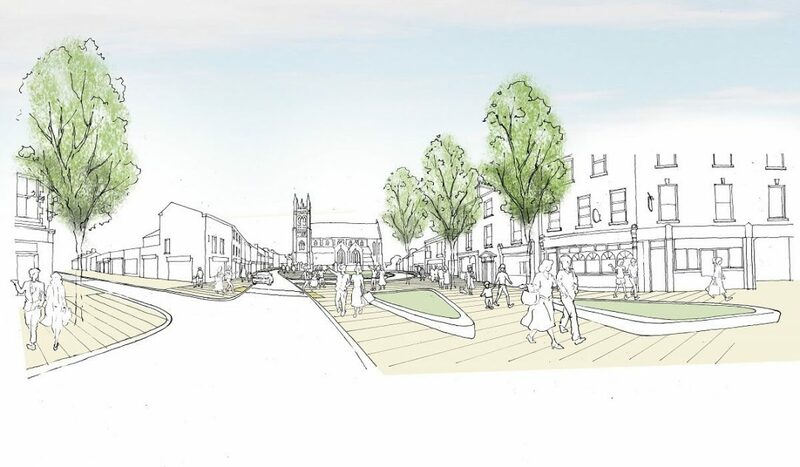 The objectives of the scheme are to develop Dundalk as a destination where people would go to as a choice, to provide a robust public realm scheme which is flexible enough to respond to changing retail, commercial and social trends. 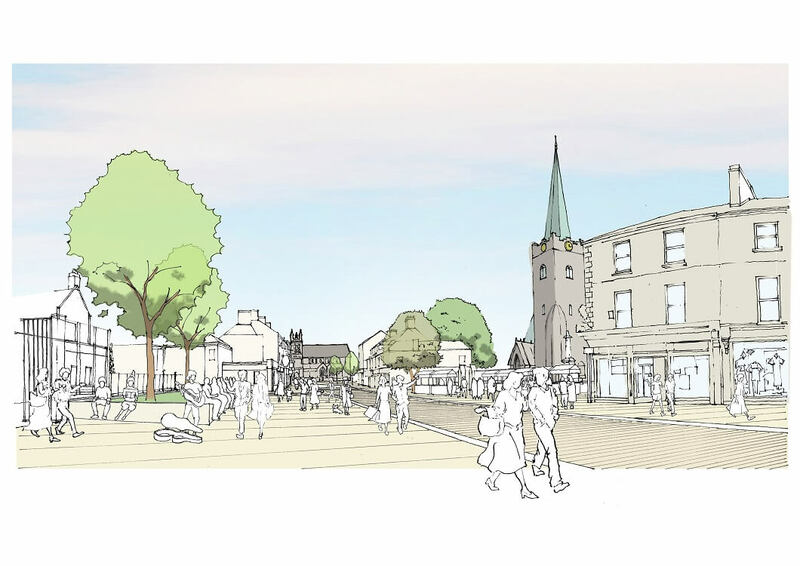 In addition, the intention is to improve access for people in and around the town centre whilst retaining ease of access for all modes of transport such as buses, cyclists and cars and to preserve and conserve the town’s architectural conservation areas and its protected and historic buildings and structures. The works include hardscaping in granite stone paviours to footpaths retained by granite kerbs, planing of the existing road surface and reinstatement with new bituminous base and wearing course, reconfiguration of road layouts, removal and rationalization of existing traffic signage layout including new installation of new VMS traffic guidance system, replacement of underground services (storm water drains and public utilities), soft landscaping with tree and selected planters and the replacement of public lighting and street furniture.